Does Your Dog Need First Aid? An emergency involving your dog is every dog owner's fear. 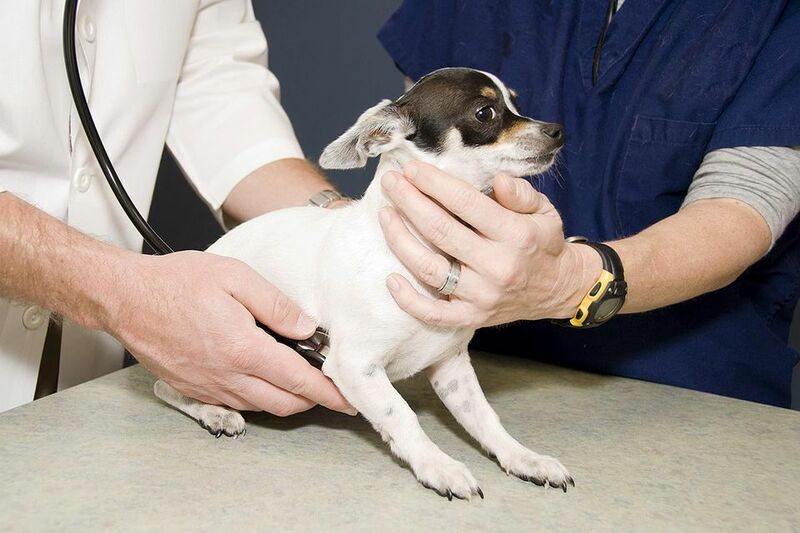 If your dog experiences a medical emergency, will you know what to look for? Will you be able to understand the problem so you can try to help? Learn about some common emergency medical situations that can affect dogs so you will be prepared if one ever happens to your dog. You should always contact your veterinarian in the case of ANY potential emergency, but some incidents are worse than others. Here are some of the more common and serious types of emergencies you may encounter with your dog. Any type of injury or accident that happens to your dog is considered a trauma. Major types of trauma include being hit by a car, getting in a dog fight, falling from a height or experiencing any other traumatic event. Minor injuries are also considered traumas, such as cutting a paw on something sharp or tearing a toenail. Pets that have undergone traumas may experience shock, wounds, broken bones, head trauma, internal injuries and more. Shock is especially common in trauma victims. There are many substances that can be toxic to dogs. Your dog may ingest something poisonous or simply come into contact with a dangerous chemical. Symptoms depend on the type of toxin and the type and amount of exposure. A dog can develop breathing problems for a variety of reasons. Sometimes there is no known cause. In some cases, the pet is choking. If your dog is having trouble breathing or has stopped breathing, know this is one of the most serious of emergencies and it requires attention immediately. Signs of respiratory distress include increased respiratory effort (such as gasping for air or making gagging noises) and gums (and other mucous membranes) that are blue, purple or gray instead of pink. A seizure is the result of abnormal brain activity. Seizures can have a multitude of causes and various manifestations. However, they are always accompanied by altered or loss of consciousness. The most serious of seizures will be violent and long-lasting. Commonly called bloat or GDV, gastric dilatation-volvulus is an emergency medical condition that occurs when the stomach expands and then rotates, trapping gas inside the stomach and cutting off blood supply to the stomach and spleen. Symptoms typically include a distended (bloated) abdomen, retching or heaving (unproductive), extreme lethargy, excessive salivation, heavy panting, restlessness or pacing and pale gums. Cardiac arrest simply means that the heart is no longer pumping. The dog typically collapses, loses consciousness, and stops breathing. Dogs do not suffer from heart attacks the same way humans do. There is usually an underlying condition that stops the heart. If the unthinkable happens and your dog's heart suddenly stops, the only thing you can really do is attempt CPR as soon as possible. When your dog has a medical emergency, the first thing you should usually do is contact the vet. However, there are times when you will need to take immediate action to save your dog's life before you get to the vet. Now that you have learned to identify the more common dog medical emergencies, it is important to learn what to do about them. Familiarize yourself with some basic first aid for dogs and you might be able to save a dog's life someday.